We secure you the best talent in the market by working as an ambassador to your business, focused on selling your opportunities not jobs! Why not streamline your recruitment supply chain today? We will individually tailor you a managed service that meets your specific business needs. Increase your productivity with a scalable contingent workforce, that operate as an extension of your permanent bench of employees. Working in harmony with your on boarding process, our range of pre-employment screening services provide peace of mind on your new hires. Draw upon our wealth of experience in Talent Acquisition with these solutions specifically designed to support in-house recruitment initiative. Enhance your potential with our range of services designed for job-seekers, including professional CV/Resume writing through to career counselling. This resulted in us achieving a 72% fill rate across all vacancies registered last year and maintained our status as best performing recruitment vendor, with the majority of accounts we serve. We pride ourselves on understanding our customers needs and delivering exceptional service. With international presence from our office locations in the United Kingdom and United States, we can support your business's growth on a global scale.  Take the Human Capital Ventures challenge and let us find you any skill, anywhere! Our dedicated Digital Marketing team are responsible for branding every vacancy and marketing it through social and business media channels. Ensuring your position gets the exposure it deserves. At Human Capital Ventures we don’t just rely on traditional recruitment techniques. Allowing you to pre-screen high volumes of applicants, reducing the overhead of interviewing unsuitable candidates, saving on travel costs and removing geographical restrictions. Let us save you time, effort and money with our revolutionary Digital Interview Platform. The best talent in the market can be the hardest to reach and often unavailable during the business day. This is why our delivery team work evenings and weekends to continually prospect top talent. Securing talent 6 days a week, our delivery team is operational evenings and weekends.